A series of powerful storms over the past six weeks, including Hurricanes Harvey, Irma, and Maria, has placed renewed pressure on Apple to enable the FM radio capabilities of the wireless modem in every iPhone. The biggest push continues to come from the National Association of Broadcasters, a lobbying group that represents over-the-air radio and television broadcasters in the United States, according to Bloomberg. "Broadcasters are providing information on how to evacuate quickly, where flood waters are raging, how to get out of harm’s way if there's a tornado or a hurricane," said Dennis Wharton, a spokesman for the National Association of Broadcasters. "The notion that Apple or anyone else would block this type of information is something that we find fairly troubling." Powerful storms can leave thousands or millions of people without power or cellular service for weeks or even months, however, which can make it difficult or impossible to listen to FM radio over Wi-Fi or cellular. FCC chairman Ajit Pai also renewed his calls for smartphone manufacturers to enable the chip during a recent trip to areas of southern Florida devastated by Hurricane Irma earlier this month, according to the report. Pai, speaking with ABC affiliate WPBF 25 in West Palm Beach, said the chip is especially valuable "when it's an emergency." "The FM chip is a valuable functionality, not just when times are good or when it helps you save battery life or reduces congestion on the wireless network, but especially when it's an emergency. People want to tune in to the radio broadcast and get emergency information and this can be a valuable way of doing that," said Pai. In February, at the Future of Radio and Audio Symposium in Washington D.C., Pai said "radio is vital" when disaster strikes. When disaster strikes, often knocking out cell networks and Internet service, over-the-air radio is a lifeline, providing the latest weather forecasts or directions on where to seek shelter or relief assistance. After hurricanes or tornadoes or fires or floods, time and again, we see an exponential surge in radio audiences. He added that most consumers would enjoy the ability to access free content over the air, like music on FM radio stations, which some critics believe is a key reason why Apple hasn't enabled the functionality. It seems odd that every day we hear about a new smartphone app that lets you do something innovative, yet these modern-day mobile miracles don't enable a key function offered by a 1982 Sony Walkman. Moreover, most consumers would love to access some of their favorite content over-the-air, while using one-sixth of the battery life and less data. As more and more Americans use activated FM chips in their smartphones, consumer demand for smartphones with activated FM chips should continue to increase. Pai noted that he is a believer in free markets and the rule of law, and he thereby cannot support a government mandate requiring activation of these chips, nor does he believe the FCC has the power to issue such a mandate. 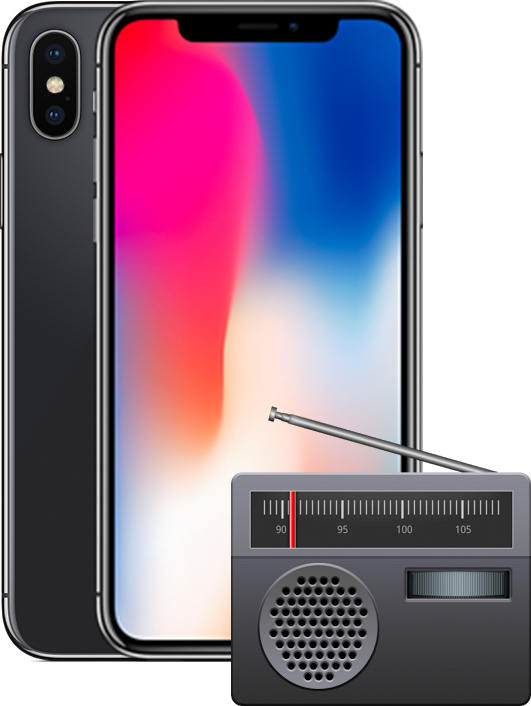 Apple declined to comment on the report, and its stance on the activation of FM receivers in iPhones remains unclear. Update: FCC chairman Ajit Pai has issued a statement that directly calls on Apple to "step up to the plate and put the safety of the American people first" by activating the FM radio chip in iPhones, in light of Hurricanes Harvey, Irma, and Maria. It would be a great feature to have especially when I am in a dead zone or overseas. Would have been nice when we lost power for a week after Irma here in Florida. I’m all for it. I have never understood why this was not done a long time ago. Tuners in Phones was a standard practice at one time and made a lot of sense both for when no data link was available, in emergency situations as outlined above and generally for saving data bandwidth. The headphone on these phones always acted as the arial so not sure how this would be handled today in the Apple world where the headset has been removed. I live in Miami so it would have been nice. but apple doesn't get a cut of FM revenue. as someone who lost power for over a week due to irma, i will say that cell service of any sort was extremely spotty, both data and for calls. we pulled out the old fm radio which was fine to a point. thing is, if you can charge your phone in your car, you're going to be listening to the radio there. listening to the radio on the phone, unless you have generators or a lot of battery spares is not ideal as the phone is a potential lifeboat for contacting others and you want to preserve that as much as possible. Hahahaha, Apple will not do that in a million years! Apple will pull all your money no matter what. So when a hurricane hits and there is no power, they want people to use their barely making a whole day battery iPhone, as an FM radio? ok. I've used my laptop as a giant iPhone battery in the past for that very reason. Lasts a very long time that way, just have to keep your laptop in sleep mode.